So, I have had this stupid idea in my head for months, if not years actually. A dragon fruit tapestry. What makes it even more stupid, is that I’m not even a big fan of dragon fruit. But somehow, this idea of making a tapestry based on it keeps on haunting me. I have never been bothered to as much as sketch it out, that is, before tonight. 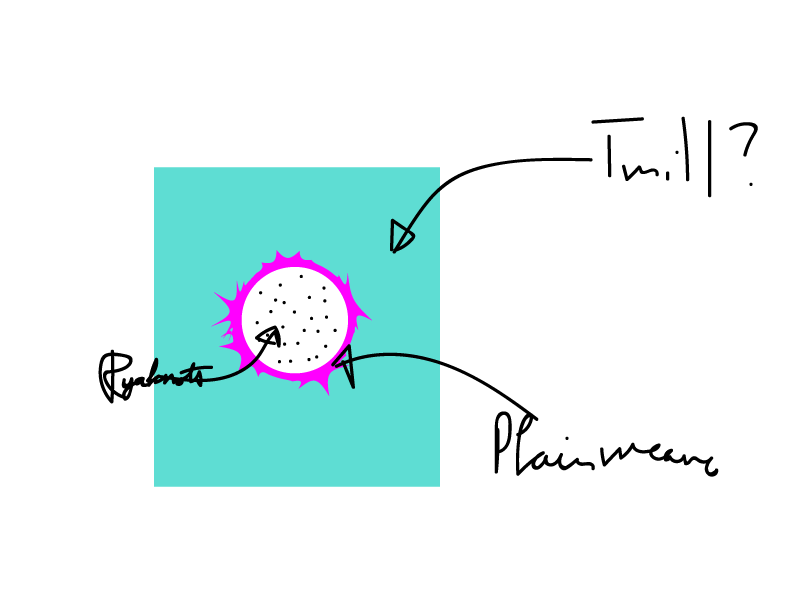 As the idea came back, I made a quick 2 minute sketch in Illustrator (see, not even wasting precious paper on it). We’ll see. Maybe it will actually materialize it into a physical weaving very soon.